Forex Trading Fundamental Analysis Masterclass edition – Part 1 of 15! A successful Forex Trader is an education continuous learning Trader. This Forex Trading Fundamental Analysis Masterclass edition offers an overview about fundamental analysis concepts in gear with today′s fast–moving markets, adding insights, new tools, studies and techniques, technology advancements fro traders, social trading areas taht can be used in fundamental analysis for the modern Forex trader. This Forex Trading Fundamental Analysis Masterclass guide teaches a 360 overview about Forex Trading in calm and disciplined approach for Forex Traders about how to leverage and understand the markets and trade effectively. It emphasizes fundamental analysis, risk management along with self–management and provides clear rules for both. This guide provides the overview, knowledge, perspective, and tools for developing your own effective trading system. Fundamental Analysis and Technical Analysis (FA and TA) are important trading concepts and they are hand-in-hand in guiding Forex traders under the ever changing and sometimes highly volatile market conditions. We believe that both any beginner and veteran Forex traders benefit from this Fundamental Analysis Forex Trading Masterclass material that follows, but veterans Forex Traders know one important distinction. Forex traders professionals do not spend an inordinate amount of time on the Fundamental Analysis FA side of the equation, primarily because they are aware of their limitations and tools. Only professional Forex Traders working in big brokers of banks have the top resources, access to key market information, or the ability to read and assimilate the mountains of data that are made public on a daily basis. So it is important to identify your limitations and educate yourself in the best ways to make your Forex Trading successful. The clarity of this 15th chapter book′s language, its practical graphics and generous sharing of the essential skills want to help you nurture a career in professional trading and learning with the best. Both new and experienced traders need to be proactive learning fundamental analysis and reading this guide will help any trader to appreciate its insights and the way to calmly establish a trading, systematic approach to Forex Trading and the capital markets. Use a record–keeping system that will make you into your own teacher. Successful Forex trading is based on knowledge, focus, and discipline. Forex Trading Fundamental Analysis Masterclass will lift your Forex trading to a higher level by sharing classic wisdom along with modern market tools and software. The thought – quote above shows the powerful tailwind of markets and economic progress that pushes stable economy, currencies and businesses to ever greater heights. Forex Market Implications of the NonFarm Payrolls Data. 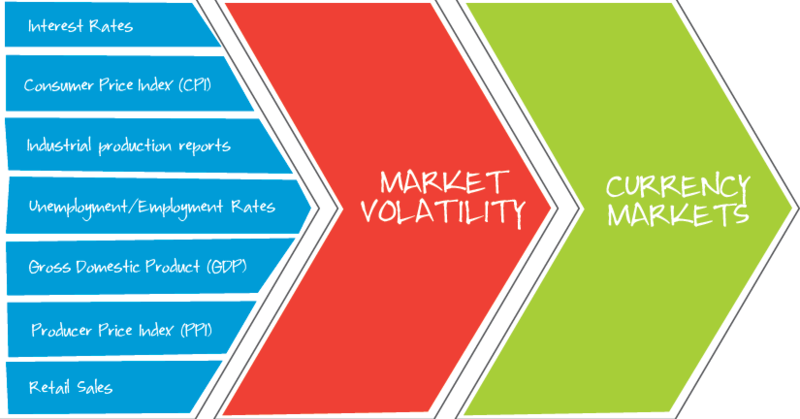 Interest Rates and Volatility’s – Correlation Between Interest Rate Gaps and Volatility. Volatility in the Forex Market. The Bond Market and Currency Prices. The Basics of Fundamental Analysis. Advantages of the Unregulated Forex Market. Why Currencies Trade Against the Dollar. Oil and Forex: An Intimate Relationship. Currency Trading vs. Futures Trading: Forex & Eurex Under the Microscope. The Treasury International Capital reports – Gauge Inflow of Capital With the TIC Report. Balance Sheet of the Federal Reserve: Its Meaning and Implications for Currency Analysis. The Importance of Forex Trading Times Zones. The relation between Gold and Inflation: How Strong is the Relationship? How Gold Affects the Forex Market overall. From the Gold Standard to Floating Exchange Rates. Look and have a list of the top Currencies Traded in the Forex Market. Benefits of High Forex Market Liquidity. Assessing Central Bank Reserves for Forex Profits: Reading the COFER Report. The Power of Fundamental Analysis: the case study of George Soros and the Bank of England. How Professional Forex Market-Makers Work and Quote Counterparties. How economic News That Affects Currencies. Producer Price Changes and Their Economic Effect. The Secret To Forex Trading Success: Regularity, risk management and recognizing The Journey. Understand and map Currency Groups. Currency Reserve Trends and information. Understand Exchange Rate Systems worldwide, special the markets where you are trading. Why Forex Market Intervention Usually Does Not Work. The tag team of Bernanke and Draghi has the Forex market in a headlock. Trading Forex – Why it is so Popular – But be aware a big part of traders loose money so learn and make sure you trade wise and according to your capacity. What Forex Traders Need to Know About countries GDP. Be alert to Investment Fraud and make sure you choose a good and solid regulated broker. Forex Currency Code, Quotation and Naming Conventions. Be aware of the Relative Risk Ratio: An Alternative Way to Manage Risk in Forex Trading. 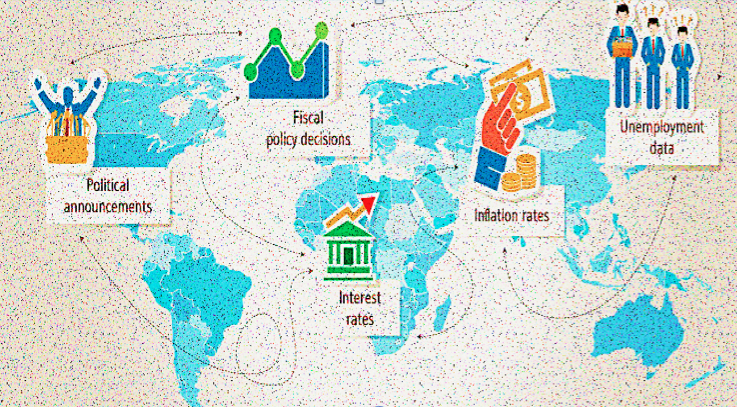 How a central bank’s interest rate decisions affect Forex rates. Make sure you bear always in mind the Fundamental Forex Factors. The Impact of Inflation Measures on the Forex Market. How to Use Fundamental Analysis to Profit in Forex but with wisdom and remembering there is no magic ball! Know who are the Forex Market Participants. Be aware of the international Forex Market Regulatory Agencies and subscribe to its newsletters. The Professional Interbank Forex Market and its implications. Pure Expectations Trading and Investion Theory. Commodity Futures Trading Commission: Are They Our Forex Friend or Foe? Pending NFA and CFTC Registration Legislation. Forex and the Yield Curve: Understanding Interest Rates. Forex – The World’s Largest Capital Market. Understanding a Global Currency: What Makes the USD – Dollar, the Euro, the GBP the top Currencies of the World? What makes the USD the top currency reserve? The Influential CPI Data and its Forex Market Impact. The Strategic Importance of the U.S. Dollar. MT4 Trading platform and why is so popular. List of top trading websites and trading meetups and newsletters you should sign up. Simply put, fundamental analysis is the evaluation of trades by looking at the economic fundamentals that can affect the price of the instrument you are planning to buy or sell. It’s often defined in opposition to technical analysis, which is the study of price action using charts. Needless to say, there’s a lot more to it than that, but this at least gives you an outline of what we’re talking about. All of the critical macro economic news reports, the “fundamental” economic data and political events that come out about a country are similar to news that comes out about a stock in that it is used by traders and investors to gain an idea of value. 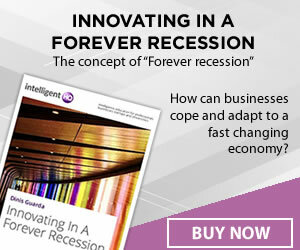 This value changes over time due to many factors, including economic growth and financial strength. With fundamental analysis traders look at all of this markets information to evaluate a country’s currency and use tools to better manage it. Basically, fundamental analysis is the study and use of these factors to predict future price movements in the currency market. It involves looking at what is going on in the world, both in terms of the economy and the world of finance, and it usually involves focusing on how macroeconomic factors such as GDP growth, inflation, and jobless leves can affect the prices of the currencies we are trading. Of course, no method of analysis is flawless. Rather, fundamental analysis gives us an insight into how price action should, all things being equal, react to a certain economic event. Sometimes the price does go the way fundamental analysis would predict, and sometimes it doesn’t, but the fundamentals always play a big part in why price moves the way it does – it’s just that it depends on how the market reacts to them. Fundamental data can take many forms. It might be an employment report from the US Federal Reserve, or a hint from a member of the European Central Bank that they may lower interest rates. Whenever data of this type is publicly released, it can often change the economic landscape, causing traders and investors to react in a certain way. Sometimes, the fundamentals can change without any specific report being released – it could be just that experts could change their opinion about what a particular report will contain. For example, forecasts of interest rate rises can often be “priced in” hours or even days before the actual interest rate statement. In fact, currency pairs have been known to sometimes move as much as 100 pips just moments before a major economic release, purely on the basis of market speculation. This mass gun-jumping creates a potentially very profitable trading opportunity if you are brave enough to jump on it, and that’s why many traders are on high alert before certain economic releases. As a general rule, economic indicators make up a large portion of data used in fundamental analysis. Like the various gauges on a car dashboard, economic indicators provide a degree of insight into how well a country’s economy is doing. While the numerical value of an indicator is important to know, the market’s prediction and anticipation of that value is equally if not more important. Perhaps the most important part is the resulting impact of the actual figure in relation to the forecasted figure is the most important part, but all of these factors should come into consideration when you are weighing up a potential trade. 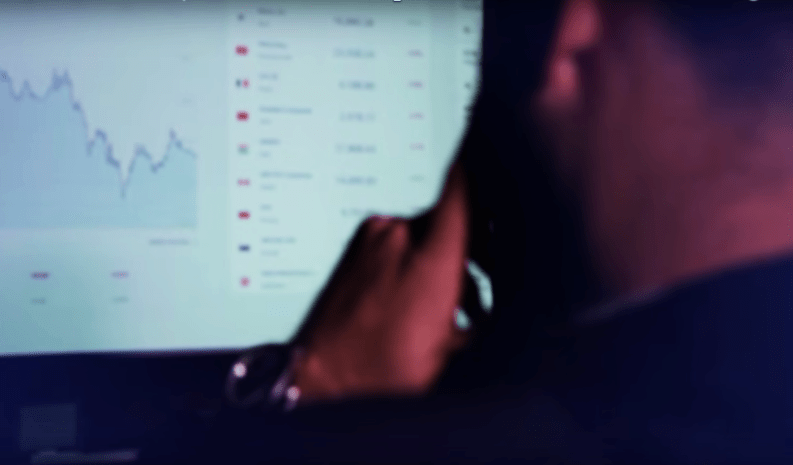 With this Forex Trading Fundamental Analysis Masterclass we aim to give traders and investors an idea of some of the basic economic and fundamental ideas that underlie the Forex trading activity and impact the movement of global currencies. The most important thing that Forex traders should realise is that is that currencies and countries, like companies, are constantly changing in value based on fundamental factors such as economic growth and interest rates and a prepared trader needs to have strong management of the fundamentals of economics and markets using tools to leverage its trading activity in the best way and correlating it with what is happening in the markets. A good trader should also, based on the economic fundamentals mentioned above, have an idea how certain economic factors impact a country’s currency and trade with that in mind. Very helpful article. I enjoy it.